It was a frantic phone call, late in the day here in San Diego, on May 30th from Bermuda. No names were exchanged, but I could hear a lot of noise & commotion in the background. The caller frantically said his Scale Master was reading overload as they were trying to weigh a fish. What could he do? He sounded intent, on edge. We determined he had a Scale Master II, one our dual range tournament scales, and that he had it in the low range. Easy fix. In this case, they were weighing something over 200# and needed to switch the scale into the high range. I told him to press the range button to get rid of the decimal point. After that, all was good and we signed off. I could hear the relief in the callerâ€™s voice. All in a dayâ€™s work and I was happy IWS-ScaleMaster was available for Customer support at any time. The next day, going thru my Facebook feed, I read a story about the 10th Grander of the year weighed in Bermuda via granderwatch.fishmonster.com. We at IWS are always interested in the triumphs that take place in the fishing world; whether for World Records, tournaments or recreation. 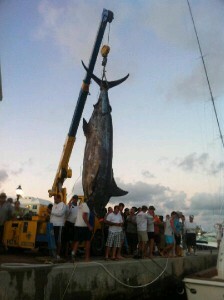 I read the article of this epic 1289# Blue Marlin. Then the light bulb went off! This was THE fish the frantic caller was trying to weigh the day before. 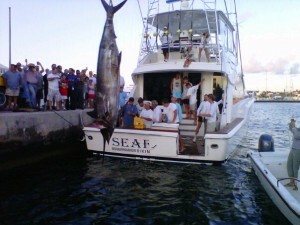 The photos showed what a big beauty this was and how it dwarfed the 60â€™ Bertram â€œSeafariâ€. I saw the ScaleMaster II in its yellow case in the posted pictures and video from â€˜SaltWater Sportsmanâ€™â€¦this was the scale that weighed the Blue Marlin! I guess the moral of this self-promoting story isâ€¦.donâ€™t leave the dock without a Scale Master and if you doâ€¦.make sure the dock, marina, weigh station or another Captain has one when you pull back in. 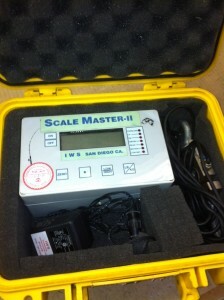 You just never know when you are going to need a Scale Master! IWS ScaleMaster would like to remind everyone of those who make sacrifices to protect our nation by serving in all branches of the military. Take some time this Memorial Day to give back in some way and show appreciation to those men and women who serve fearlessly. 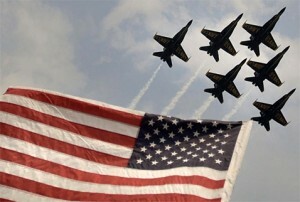 Â To all the active duty and retired forces, we say thank you. And to the families of those who serve- we thank you for the sacrifices you make everyday in support of your soldiers. The â€œOlympics of Sportfishingâ€ is back. The IGFA Offshore World Championship is just around the corner, and we at ScaleMaster, the Official Weigh Station for the tournament, couldnâ€™t be more excited to see what all you fishermen hook in those warm waters down off Cabo San Lucas, Mexico. Anglers come from far and wide to participate in this event. Here is a message from our President, expressing her continued enthusiasm for this fishing competition. â€œIWS ScaleMaster is thrilled to be a sponsor of the annual IGFA Offshore World Championship where our ScaleMaster II has been used to weigh all fish brought to the docks over these many years. Many friends and World Records have been made around the world since we started in 1984 and we look forward to our continued partnership with a keen eye on conservation, catch and release and sustainable fishing. Thanks to Dan Jacobs and Lynda Wilson for their tireless efforts and continued support along with the IGFA and many, many others. 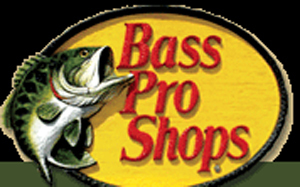 To all the teams, good luck fishing!â€â€“Giesela Muccillo. 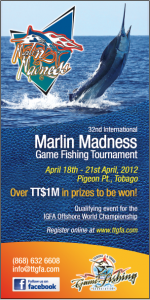 Itâ€™s time to gear up for the TTGFA Marlin Madness Tournament out of Pigeon Point, Tobago. The tournament will take place April 18th to the 21st, 2012. 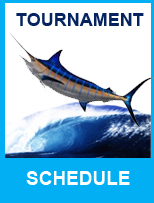 The winner of this tournament will receive TT$1,000,000 and an invitation to the 2013 IGFA Offshore Championship in Cabo San Lucas, Mexico. With the other prizes up for grabs, the turnout is sure to be outstanding. This tournament not only earns money for the small island of Tobago, but is also a poster tournament for conservation thanks to the hard work of the Trinidad & Tobago Game Fish Association. Information and quotes courtesy of http://ttgfa.com/ctives.